Pokemon Ultra Sun and Ultra Moon are the first proper mid-generation remakes to release since Platinum arrived in 2008. It may be a matter of contention whether mid-generation remakes devalue their originals or not, but we're here to look at the new installments without all that extra fuss. 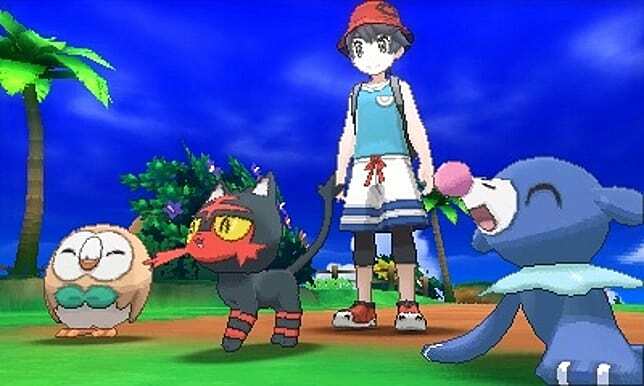 These titles are remakes of Sun and Moon -- which released just last year -- and as such, the games are largely similar. We're not going to rehash everything that was amazing about the originals; for that, you can read our Pokemon Sun and Moon Review. Instead, we shall be reviewing what's changed and what was added in these games to see if they manage to surpass their predecessors. Are the remakes actually good enough to warrant double-dipping, or should you stick with the original version you picked up last year? Let's dive in! 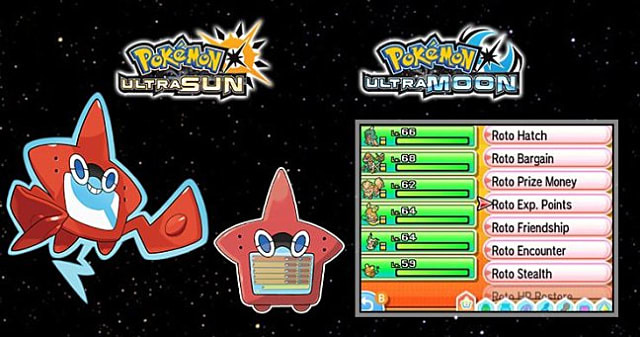 Pokemon Ultra Sun and Ultra Moon aren't trying to reinvent the wheel here. Rather, they amplify everything that's great about this generation and culminate in what may well be the most engaging Pokemon games I've ever had the privilege to experience. There are a few contributing factors at play, the biggest of all being the subtle changes made to the main game and the new features that breathe renewed life into the experience. 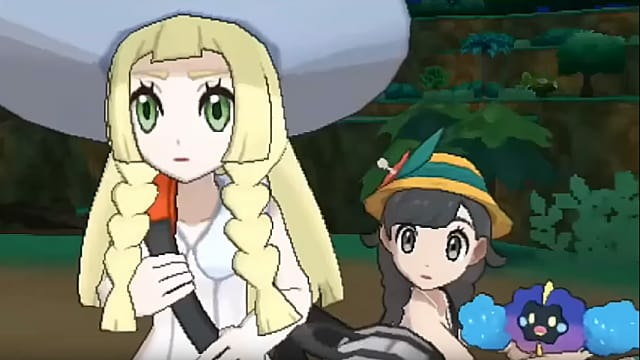 A lot of things were tweaked since Sun and Moon, and even the most minute changes go a long way towards improving the games. For instance, the pacing has shifted, especially in the beginning. Not only do you receive your Starter Pokemon far earlier, but many story segments have also been given a new coat of paint. The story itself is familiar, but ultimately not the same. There's a new organization of sorts in the mix called the Ultra Recon Squad, and a new threat to go with them. As such, there are a lot of changes to how things play out in the end. To keep this review spoiler-free, however, we won't get into them here. In addition to the story changes, the overarching tone has visibly shifted. While kids will see a friendly adventure on an admittedly epic scale, those of us with a better understanding of language will notice some surprisingly dark undertones sprinkled everywhere. 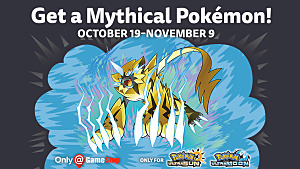 For the first time in several years, I feel like Pokemon is actually taking itself seriously again. Remember how creepy Lavender Town in Kanto was? It flew over my head when I was younger, but looking back on it now gives me the chills. The same feeling has overcome me on multiple occasions in my playthrough, filling me with a sense of emotion that Pokemon hasn't evoked in me in a long time. On top of that, the different teams and organizations found in Alola often come across as morally ambiguous. Your perception of the "clear bad guy" shifts a few times as the story progresses towards its climax. 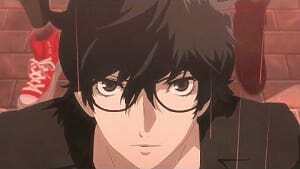 All in all, it has the effect of making it feel like the plot unfolds strangely realistically, given the setting. Don't go thinking that's all that has changed, though. The island challenge, while similar, has seen several tweaks. For instance, there were seven proper Trials before, but now there are eight to overcome. On top of that, half of the trials have completely different Totem Pokemon than before, which really threw me off guard and offered a surprising challenge. Speaking of challenge, I found the entire adventure to be rather trying. I didn't have any troubles on the first island, but the moment I stepped onto the second island, many of the Trials and strong trainers gave me and my team a run for our money. I never bothered to turn the EXP share off, and I found that my Pokemon consistently fell within three levels or so of each Totem Pokemon I encountered. My team hasn't wiped as of yet, but we've come close several times, saved only by buffed stat-boosting items like X Defense or even RotoBoost, which I'll expand upon below. A lot of people I've talked to online, however, have reported wiping around the time they stepped on the second island, so it's clear that the game's difficulty has been revamped to offer players a rewarding experience. I'll never forget the moment I triumphed over the second Trial by the skin of my teeth after watching the Totem Pokemon one-shot nearly every member of my team. A few other things have changed too, such as new Legendary and Ultra Beast locations, a revamped Rotom Dex, and the removal of Zygarde Cells. However, these changes are better explained by detailing the new features that affect them. 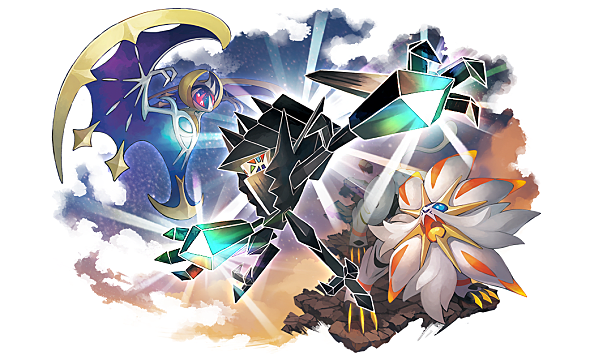 Alongside the expected handful of new Ultra Beasts and Pokemon Forms, there are a plethora of great new features absolutely packed into Ultra Sun and Ultra Moon. Totem Stickers replace the Zygarde Cells that plague the original games. Collecting the Totem Stickers offers, in my opinion, a far better reward than the Zygard Cells do. Instead of gradually building up only one Pokemon to full power with Zygarde Cells, you earn up to six Totem Pokemon by reaching certain milestones in your Sticker collection. Mantine Surf is a new minigame that allows you to surf between Alola's islands on the back of a Mantine. It's a neat new way to travel from island to island and even nets you BP for scoring well on tricks. 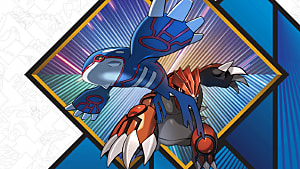 For the uninitiated, BP is a currency normally only available from competing in endgame battle organizations that can be spent on things like Mega Stones or teaching your Pokemon new tricks with the help of various new Move Tutors. In other words, BP is super valuable, and it's nice to see that Game Freak added a way to earn it out of battle. The Rotom Dex has also received a sizable upgrade. In the originals, Rotom Dex was nothing but a navigational tool for me that occasionally commented on events. Now, Rotom Dex is your friend -- no, literally! Throughout your adventure, Rotom Dex will ask you questions and break the ice so you get to know each other. If you show them attention back, they become friendlier and friendlier with you until you eventually unlock the RotoLoto. The RotoLoto is a lottery that rewards you with various buffs for being friendly with your Rotom Dex. You could get a buff that boosts all of your Pokemon's stats or something that helps you gain experience faster from battles. 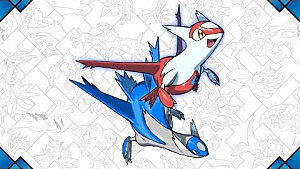 You could even get buffs that increase the encounter rate of rare Pokemon and improve the capture rate. 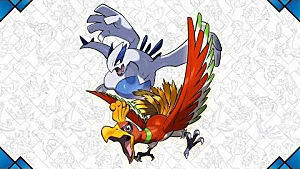 Some buffs will even help you hatch eggs or befriend Pokemon quicker. There are a ton of RotoLoto powers, and every single one of them is worth the effort. 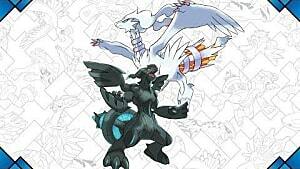 Ultra Wormholes are a great new way to encounter and capture Legendaries and Ultra Beasts. Riding into Ultra Space will take you into many new dimensions, and a few of them even have interesting environments that add just a little more depth to the lore of the games. Even if you don't encounter Legendaries and Ultra Beasts beyond the Ultra Wormholes, you are bound to find something special out there. The new installments are host to even more post-game content than the originals had. Appearing alongside the Battle Tree is the new Battle Agency -- a place where you fight trainers with rental Pokemon for BP. There's even a post-game segment where you fight off a new evil team threatening Alola. There's just so much to do before and after the credits roll that it honestly blows my mind. 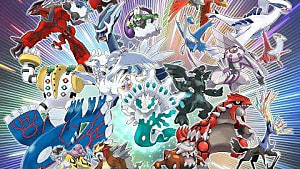 As a fan who's played every main series installment to date, I can safely say that Ultra Sun and Ultra Moon are the best Pokemon games I've ever experienced. The polished gameplay, exciting new story, darker tone, and challenging battles truly make this entry a must-play for all Pokemon fans. If you've never played a Pokemon game before, this is a great place to start. If you're an old player thinking about returning for this generation, you won't regret making this mid-generation remake the first title you pick up. If you're a long-time fan on the fence about it since the originals came out only a year ago, trust me when I say that this installment is worth double-dipping for. No matter which version you get, you're in for a seriously magical experience. Never has a Pokemon game sucked me in as hard or as quickly as these ones have. 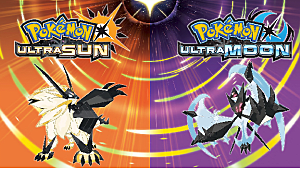 Pokemon Ultra Sun and Ultra Moon are available now on the Nintendo 3DS family of systems for $40 each.